The diverse history and cultural complexities of Siberia and Mongolia are navigated in this exceptional Trans-Siberian Railway journey through some of the world’s most fascinating cities and landscapes. This extraordinary Golden Eagle Luxury Train journey is not to be missed – from the imposing, intricate and beautiful facades of Moscow’s architectural wonders to Lake Baikal and Mongolia’s bustling capital of Ulaanbaatar. Join Golden Eagle Luxury Trains on this exceptional journey eastward to Mongolia and enjoy the Naadam Games in Ulaanbaatar – the most celebrated event of the year! Arrive in Moscow, one of the richest and most dynamic cities in the world. After your arrival and check-in at a hotel, enjoy a welcoming dinner and sightsee the following day, strolling the famous Red Square and Metro stations. A tour of one of the oldest Kremlin in the world and its glorious cathedrals follows, along with an optional visit to Sergiev Posad – home to one of the most beautiful monasteries in Russia – before you depart for Kazan. The next day arrive in Kazan, the old Tatar capital on the banks of the Volga, and take a guided tour of the Kremlin to learn about the bloody relations of the Tatars, Cossacks, and Russians. Next, the capital of the Ural Mountains and the border between Asia and Europe – Yekaterinburg – is the site of a varied and somewhat tragic history. The city tour includes the center, restored in 2009, and the newly-erected Cathedral-on-the-blood – built in memorial of the last Tsar of Russia, Nicholas II, and his family. The following day pull into the Novosibirsk station, Siberia’s largest city, and experience the famed arts and sciences of the city on the mighty Ob River. Discover the imposing Opera House, one of the largest in the world, or the Railway Museum which houses carriages of the Tsars. After dinner, the train continues to travel through the landscapes of Eastern Siberia’s mountains, crystal-clear rivers and verdant slopes. The following day enjoy lively conversation with your fellow passengers or learn a few more words in Russian as you unwind on the way to Irkutsk. A tour of the city of Irkutsk includes the Volkonsky House Museum, dedicated to the memory of aristocrats exiled here after the failed Decembrist uprising of 1825, and a visit to a traditional Russian Dacha (summer house). 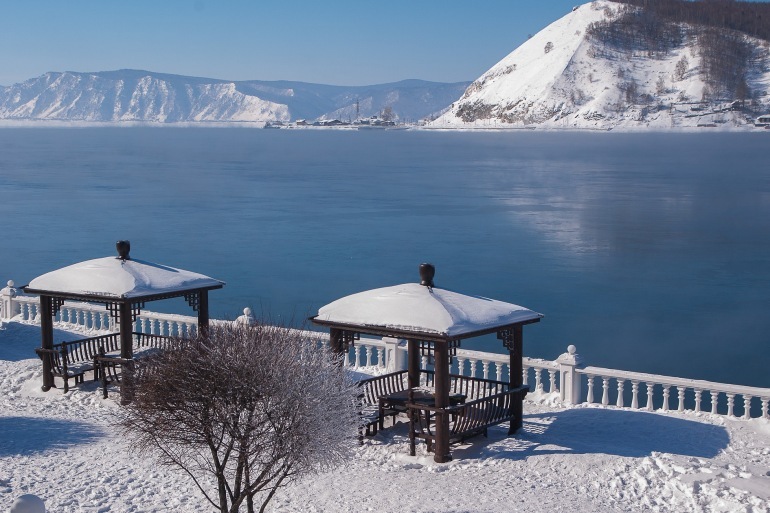 The next day enjoy activities in and around Lake Baikal. Explore the wonderful atmosphere of the lake, take a short boat ride, and discovering its picturesque town Listvyanka. Enjoy a full second day at Lake Baikal. Cruise the reflective lake and relax at a traditional Russian banya (sauna). Steam haulage for the Golden Eagle train will be provided for the journey along the shores of the lake. Arrive in Ulan Ude on the following day, capital of the Buryat Republic, and explore its ethnic and cultural diversity. Tour the Old Believers’ Village, experience the culture and history of these deeply religious people, and enjoy a concert featuring local traditions and folk singing. The next morning you arrive in Ulaanbaatar, Mongolia, and visit Gandan Monastery, the seat of Buddhist activity in the region, along with the opening ceremony of Ulaanbaatar’s Naadam Games. Continue your tour with the second day of the Naadam Games, which exhibits the main competitions: archery, wrestling, and anklebone shooting events. Breakfast is served in the hotel and transfers are provided to the airport for departing flights. Due to the popularity of the period around the Naadam Festival we reserve accommodation for our guests at a number of the best hotels in Ulaanbaatar including the Kempinski and Ramada. All cancellations must be submitted in writing to Nomadic Expeditions. Cancellation charges are based on the number of days from the date we receive the written cancellation notice until the main trip departure date. Airfares are refundable in accordance with the policy of the airline carrier being used, subject to a $50 handling charge. If full payment is not received 95 days prior to departure, Nomadic Expeditions reserves the right to consider this a cancellation. A Late Payment Fee will apply to all payments made less than 95days prior to departure.In the event that a trip cannot depart on the dates specified due to unforeseeable events that render the itinerary inoperable or inadvisable, Nomadic Expeditions reserves the right to postpone services until such time as it is deemed appropriate by Nomadic Expeditions.Nomadic Expeditions is not responsible for any unrecoverable expenses incurred by trip participants due to trip cancellation or postponement, including non-refundable airline tickets, medical expenses and visa fees, or additional arrangements, made either through Nomadic Expeditions or another provider, purchased to coincide with this scheduled departure. This trip is subject to the terms and conditions set forth under the general terms and conditions of the Trip Application. We urge you to read this information carefully and call us if you have any questions.